Most awnings can be brought back to life and looking new with the help of Radiant Blinds & Awnings. 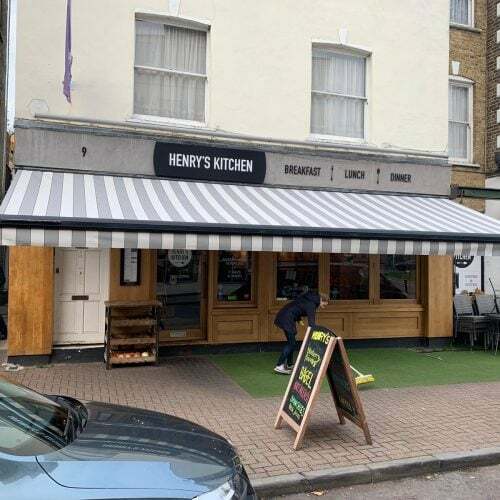 This 8 metre wide awning system at Henry’s in Hampton Court, Surrey is a good quality brand and has lasted a long time, no repairs were needed just a new cover. 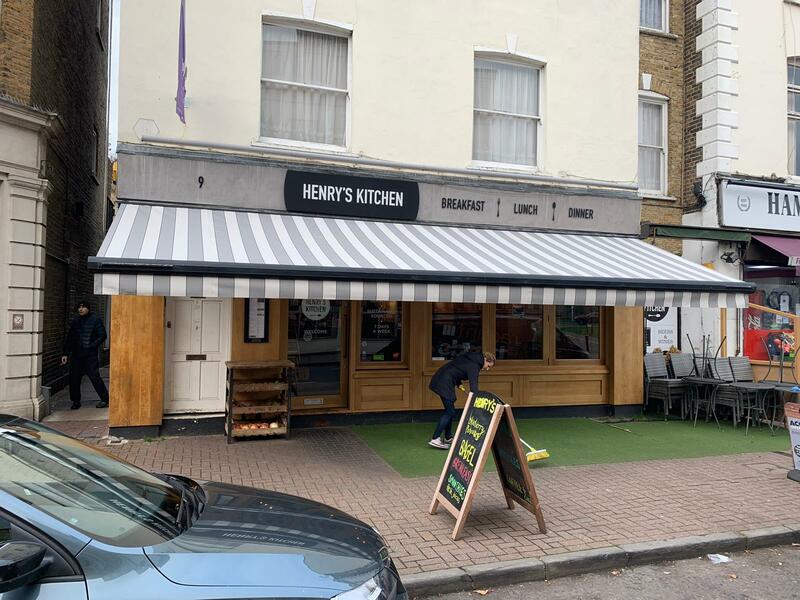 If your awning cover is looking tired or you are looking to rebrand get in touch and book an appointment.